The ability to multi-task isn’t just a time management boon, so why stick to shuttling around either people or packages? Following past ride-share companies’ efforts to expand into same-day deliveries, car-hailing app Sidecar says it’s going to start dropping off hot food, groceries and other packages along with human beings. The company has already been testing the service in San Francisco, where riders might’ve gone from point A to point B never knowing someone else’s lunch was hitching a ride at the same time. It announced today a plan to use its fleet to launch a package delivery service through partnerships with local companies. Meanwhile, the cars will still be picking people up and dropping them off, which the company says keeps pricing low and cuts delivery times. 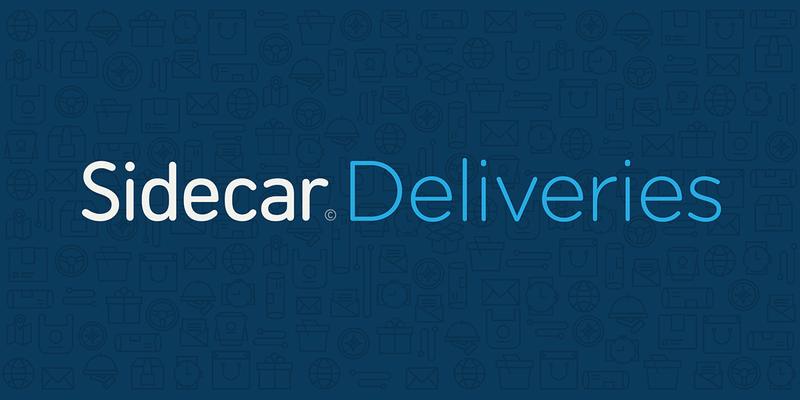 The new service will be available in all U.S. cities where Sidecar operates, but of course it’ll depend if your favorite restaurant or grocery store across town decides to partner with Sidecar for deliveries. Sidecar says a partnership with Eat24, an online food-ordering company akin to Seamless, has already gone well. “Popular online ordering service EAT24, one of our pilot partners, reported Sidecar reduced delivery time by almost half,” Sidecar says in the announcement. “EAT24’s restaurants saw double the revenue when our drivers served them. Those looking for a ride will also see the benefits of the multi-tasking effort, as Sidecar says “there will be more drivers available, lower wait times and even lower prices” for passengers.